Double Gun Envelope Holder | BUDK.com - Knives & Swords At The Lowest Prices! This beautiful and exquisitely detailed piece is the perfect multi-functional décor accessory for you home, office, or library, offering use as a napkin, letter, or envelope holder. 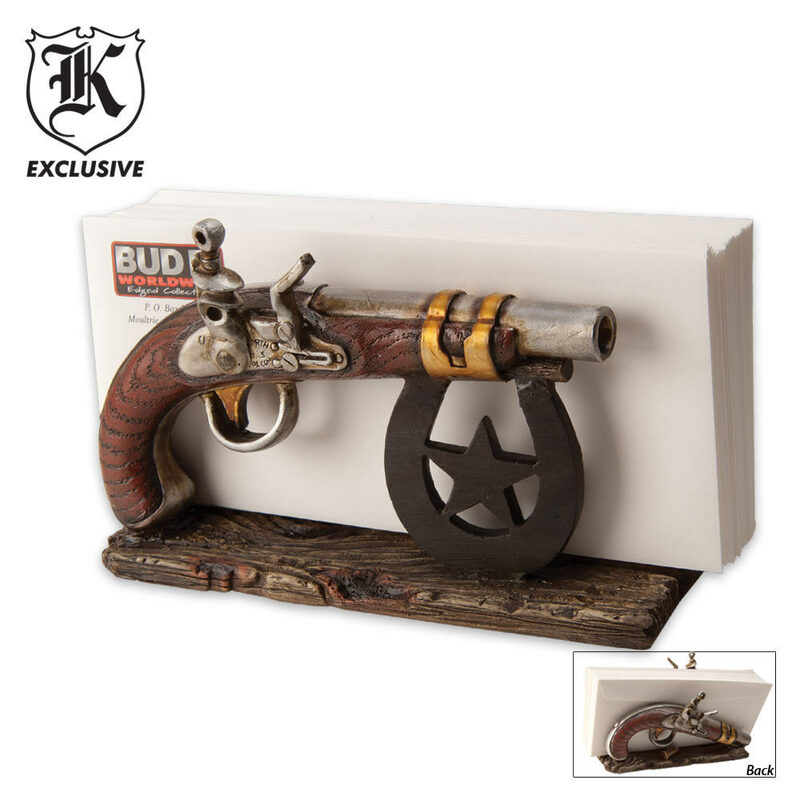 It features intricately carved, antique-finished guns resting on a weathered plank, all crafted of cast resin. Completed by bullet casings and detailed etchings on guns. Measures approximately 8" x 5.5."